Water/Ways is officially open in Miami-Globe! The opening festivities included music and remarks from Vice President of Salt River Project John Hoopes and Congressman Ed Pastor. Be sure to also check out the companion exhibit of water photographs by local photographer Elizabeth Eaton. Thursdays-Saturdays: 11:00 a.m. – 3:00 p.m.
Sundays: 12:00 – 3:00 p.m. 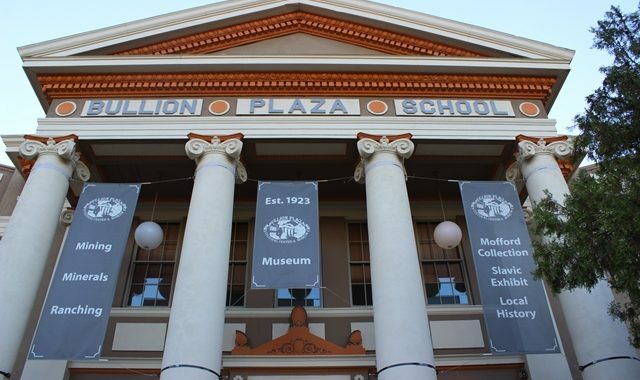 Learn more about Miami and the Bullion Plaza Cultural Center and Museum. 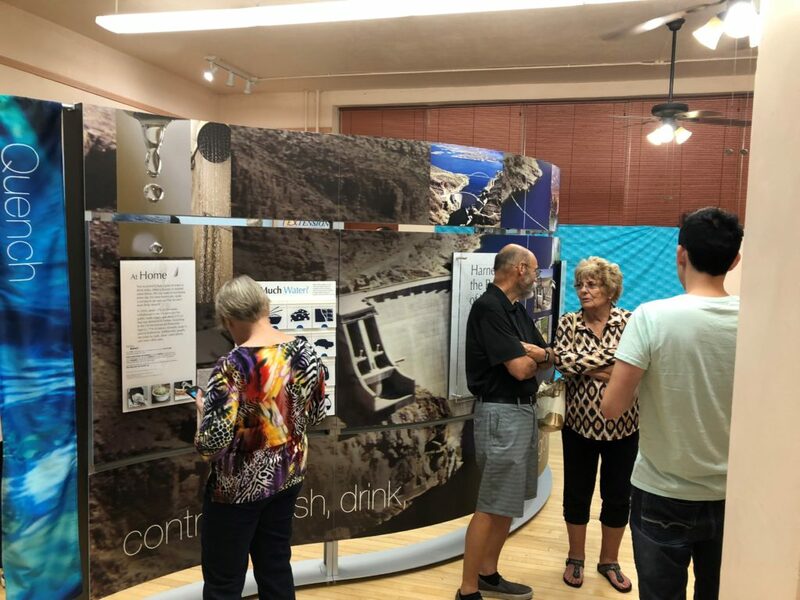 The Smithsonian exhibit Water/Ways wraps up in Fort Apache this Sunday September 9. It will travel next to Miami, and reopen Saturday,September 22 at the Bullion Plaza Cultural Center and Museum. 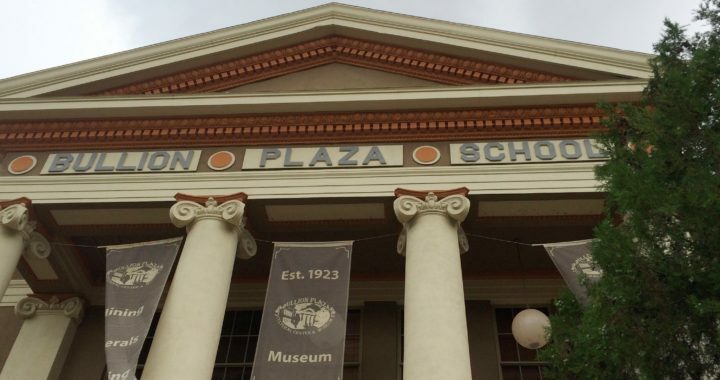 Bullion Plaza is “dedicated to preserving and presenting the culturally diverse history, the human experience, as well as exploring the natural environment unique to the Globe-Miami region of Arizona.” The building was known as the Bullion Plaza School in Gila County and is on the National Register of Historic Places. Miami is located in east central Arizona, and it is closely tied with the nearby City of Globe. The “twin” municipalities share a newspaper, a chamber of commerce, and a common cultural identity. Although the mining operations that support the economy depend on large amounts of water, there are no rivers or lakes in the area. The Gila River flows about 30 miles to the south through Winkelman. The Salt River and Roosevelt Lake, a large reservoir created by Roosevelt Dam, lie north of the communities. Miami and Globe rely for their own water supply on deep wells that tap into groundwater from the Cutter Basin. The Tonto National Forest surrounds the area on three sides. U.S. Highway 60 connects the towns, which are about four miles apart.